A recent report revealed that e-commerce giant, Amazon, has, for a couple of years running, spent a staggering 97% of its marketing budget on search advertising. Although most companies wouldn’t have deep enough pockets to be able to afford the $1.35 billion that Amazon spent on search advertising in 2015, the internet giant is not alone in prioritising this area. In 2017, companies worldwide spent $95 billion on this ecommerce tool. Although improving on the searches that lead customers to your site is undoubtedly important, it’s all academic if you then lose those customers due to bad site navigation. Experts on web development, SEO and e-commerce, say that common navigation issues include customers failing to find what they’re looking for, confusion as to which category a product will be listed under and, complicated checkout procedures. For every ten bad navigation examples, there are one or two great ones. Take inspiration from the following companies who have super-sized their navigation in order to take their business to the next level. Popular book store, Waterstones, makes great use of the autocomplete suggestion tool throughout its website. Waterstones autocomplete provides accurate suggestions with as little as one word entered into the search bar. Not only that but, the suggestions are accompanied by thumbnails of the book cover - perfect for those bookstore customers stating, ‘I don’t remember the full name but, the cover was red!’. Take a leaf out of Waterstones’ book and make the most of this handy tool in order to make sure your customers find what they’re looking for quickly and easily. Online clothing retailer, New Look, uses the hugely popular faceted search method on its website, cutting out time wasted scrolling through irrelevant products. A faceted search is one where a customer begins with a simple search, for example, ‘ankle boot’ and is then given options to narrow the search by colour, size and fabric. Used widely in the fashion industry, faceted search options are proven to keep customers on a site and not scrolling away to another. Clothing brand, Zara, has incorporated a highly visible and easy search option onto its website to make sure that customers find what they want quickly and easily. As a customer begins to search, full sized images of relevant images immediately appear, allowing for super-easy browsing. For example, a customer entering ‘blue dress’ into the search engine will immediately be presented with every option of that description in handy thumbnails. Studies show that consumers are becoming less and less patient when looking for something online and so this is a great way of (a) giving them what they’re looking for and (b) enticing them to get those fingers clicking by presenting them with appealing photographs of products. Mountain Bikes Direct uses the benefit bar option on its website to great effect. Increasingly popular with online customers, a benefit bar can serve a dual purpose of advertising special offers as well as listing trusted partners and suppliers. When visiting a website, the eye automatically goes to the top of the screen so a benefit bar is a great way to display important information. On its website, Mountain Bikes Direct presents all the information that the customer could want in clearly marked bars at the top of the site. Anybody who shops regularly on Amazon will be aware that, once you reach the checkout, you’ll be given the complete your purchase with just one click. One click purchasing is handy for customers (all that finger strain caused by clicking twice) and, is extremely lucrative for Amazon. Studies show that many customers will change their mind during the checkout process and decide to come back later, often resulting in lost sales. 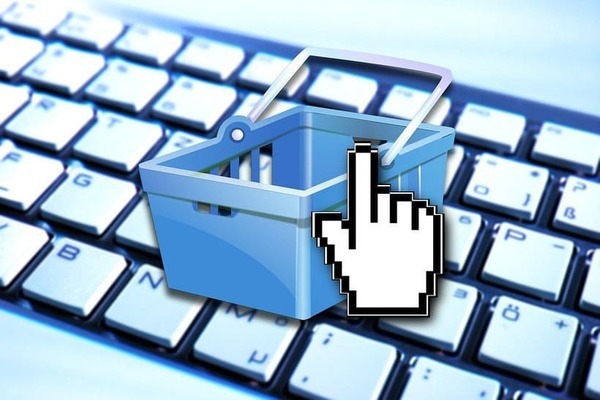 One click purchasing does, of course, help turn the undecided into sales. Sadly for Amazon, it lost its exclusive right to one click purchasing last year so now, thousands of e-retailers are flocking to take advantage of this navigation tool. When it comes to great navigation on your site, it’s all about the customer experience - if a customer enjoys shopping on your site and is easily able to find what they’re looking for - and more besides, they’ll keep coming back!